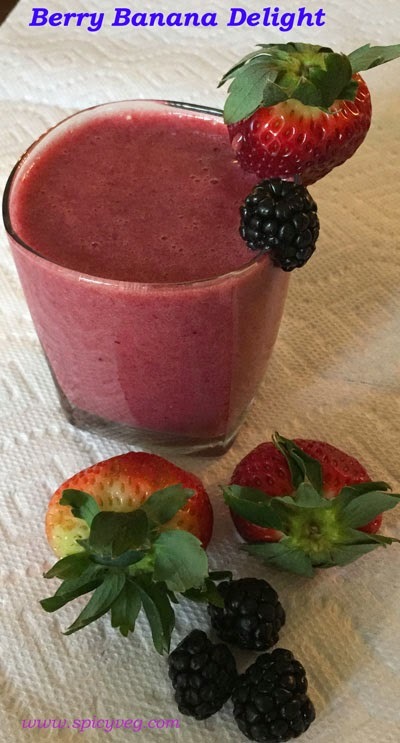 Try out this quick and easy recipe for a healthy and delicious sweet smoothie made with banana, strawberries and Blueberries.Berry smoothie recipes are probably the most favourite ones because of their tasty flavor and ability to mix with other fruits. 1.In a blender or mixer, combine all the ingredients. Blend until smooth. Pour into a glass and serve.